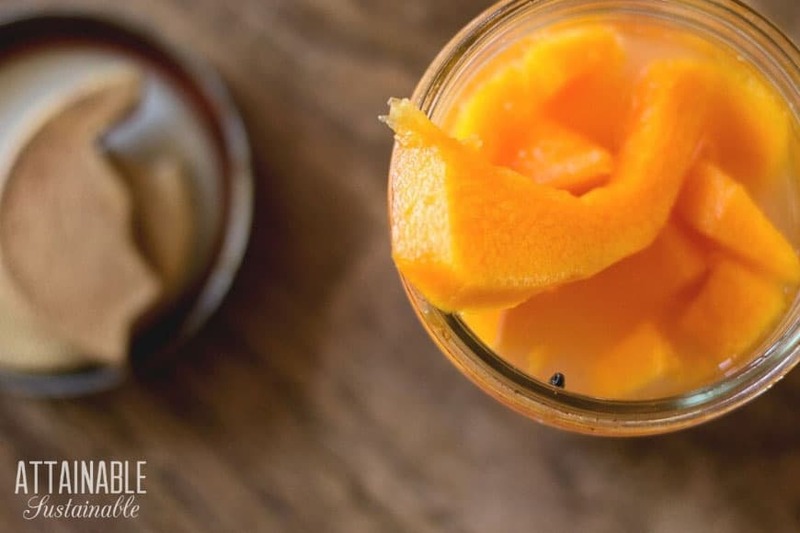 For an unusually flavorful way to add probiotics to your diet, try this easy fermented pumpkin recipe. It’s a tasty way to preserve pumpkin! Pumpkins and other winter squash are a wonderful addition to any garden. Not only do they provide ample fruit, but their thick rind makes preserving squash and pumpkin easy. It stores effortlessly for anyone with a root cellar or cool room. 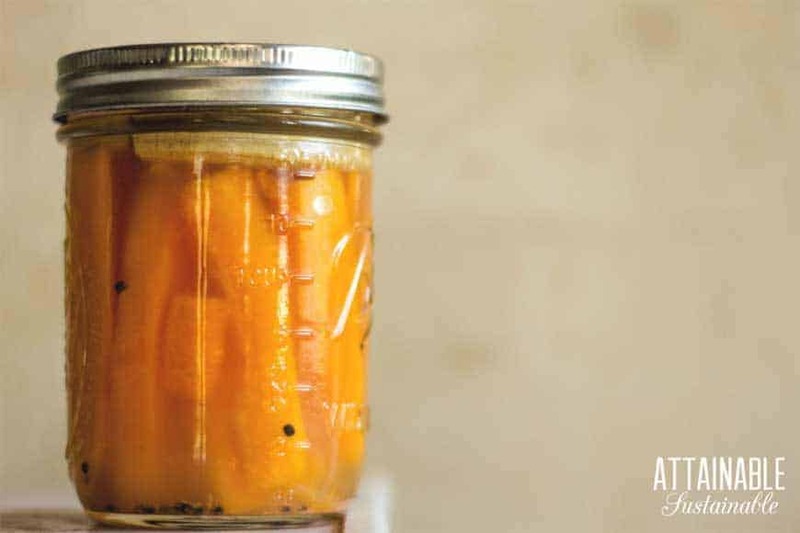 Fermentation isn’t really necessary for preserving squash and pumpkin – but it sure is fun in this healthy pumpkin recipe! 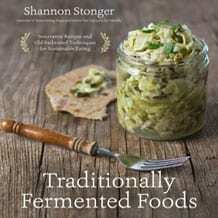 [Click here for more fermenting recipes to try.] 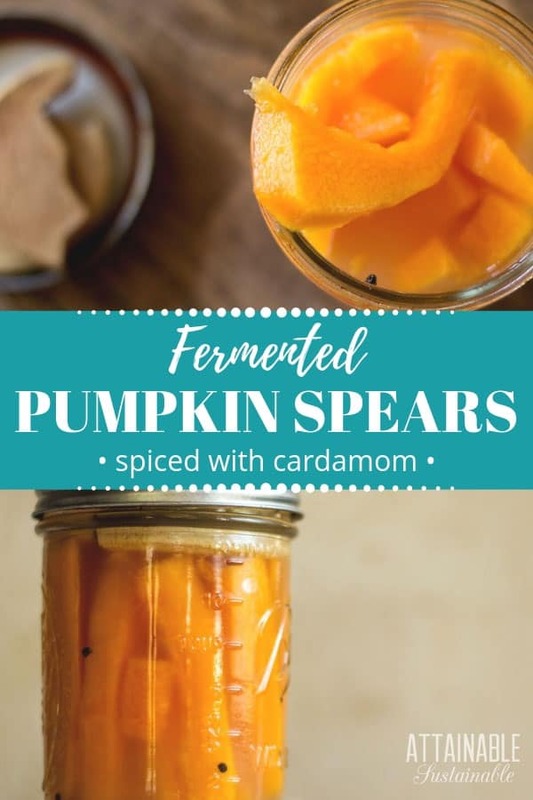 There’s not much prep work involved in making these healthy pumpkin spears. Just be sure you have a sharp knife to work with. The extra probiotics and enzymes imparted to this yummy, fragrant snack food can’t be had in pumpkin pies or warming soups. Cardamom is one of the spices that gives chai its intoxicating fragrance. Just a tiny pinch of these seeds imparts wonderful flavor to this fermented pumpkin and gives the pumpkin just a hint of those familiar fall flavors, even in this tangy ferment. 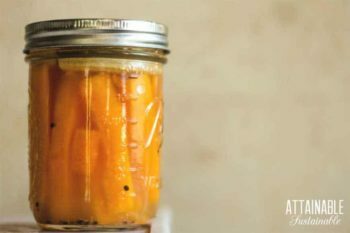 Try this small-batch fermenting recipe to preserve pumpkin or multiply the recipe to put up a bunch of golden fermented snacks. The key to successfully fermented pumpkin is to reserve a bit of the rind which will impart a bit of beneficial bacteria from the soil into the final ferment. ★ Did you try preserving pumpkin? Don’t forget to give it a star rating below! These pumpkin spears are an unusual twist on fermentation, resulting in a firm pickle with a rootsy flavor. It's an easy way to preserve pumpkin. 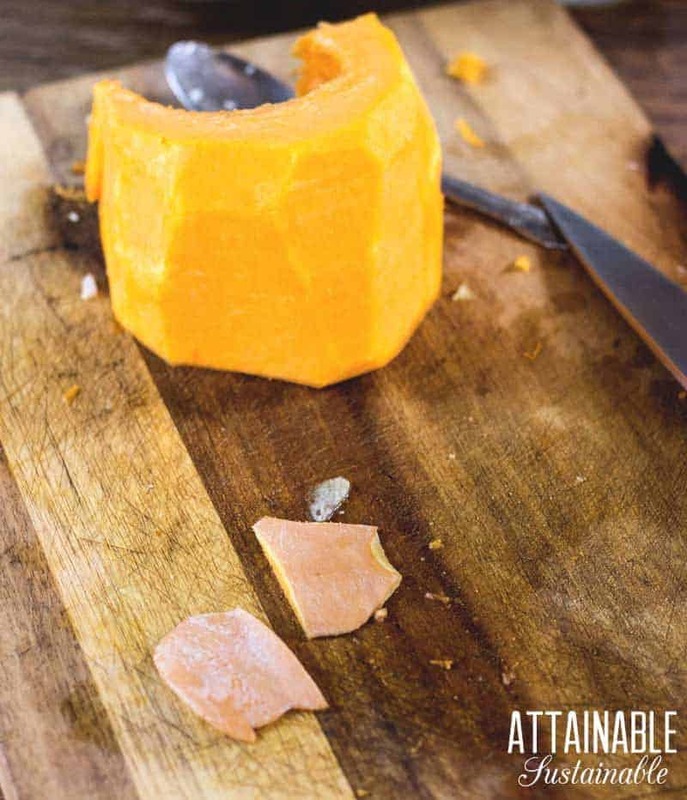 Peel and clean out a small pumpkin, reserving a slice of the rind to lend bacteria to the fermentation process. Add salt, pumpkin rind sliver, and cardamom seeds to a pint-sized jar. Slice the pumpkin into small sticks just tall enough to fit into the jar, leaving about 1" of head space. Pack tightly into the jar, much like making cucumber pickles. Pour water over the pumpkin, salt, and cardamom until the pumpkin is entirely submerged. 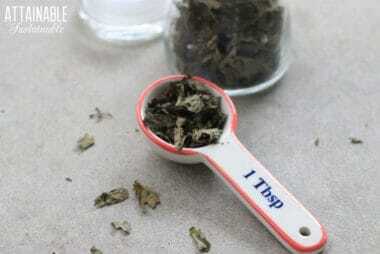 Place a lid on the jar so that it is airtight and leave to ferment at room temperature for 2-3 weeks. 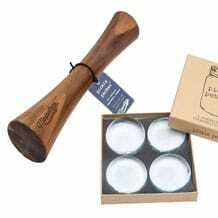 Check the jars daily, opening the jars to release pent up carbon dioxide each time pressure has built up. After 2-3 weeks taste the pumpkin. If it is sufficiently tangy, you can eat it right away or move it to cold storage. 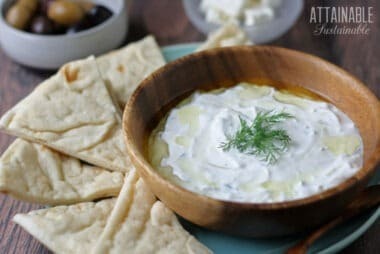 Can I use Powder Cardamom or does it have to be seeds? That should work, though might make the product a bit cloudy. 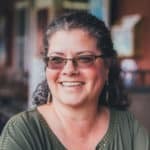 Should you use an air lock system on jar for the two weeks? The airlock allows gas to escape as long as the product is fermenting/bubbling. Once it’s “done” you can cap the jar and refrigerate. The pumpkin is washed, yes? So how is there beneficial dirt remaining? Do you crush the cardamom or leave it whole? Thanks for this, I’d love to try it! This is my question as well. Are these questions just rising into the universe and not coming back answered? Good heavens. I think they DID just rise into the universe and disappear! 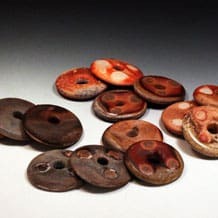 I just ran across these during an update, but never got a notification about the comments. So sorry! Raw pumpkin, washed but the skin will retain some of the bacteria, and either way with the cardamom. You’ll get a stronger flavor if you crush it. Is there another spice that I can uses instead of cardamom? Used to like it, now I don’t, sigh. I’ve done it *without the cardamom, but you could try whole cloves or cinnamon sticks. Also, since I wash my produce and will definitely be cleaning the outside of the pumpkin, how will I know there is enough bacteria for fermentation? There should be residual bacteria, unless you plan to soak it in bleach. Easy Tomatillo Salsa Fresh From the Garden!